Mexico City is filled with a variety of lovely green spaces. Internationally, they are not as renowned as, say, New York City’s Central Park, Munich’s English Gardens, or Beijing’s Summer Palace Grounds. But they are glorious places in and of themselves – green lungs for a city that needs as many as it can get. Nearly every neighborhood has a park of some kind. Usually the park has a fountain or two, a statue to some local or national hero, park benches, jacaranda or pine trees, and a playground. 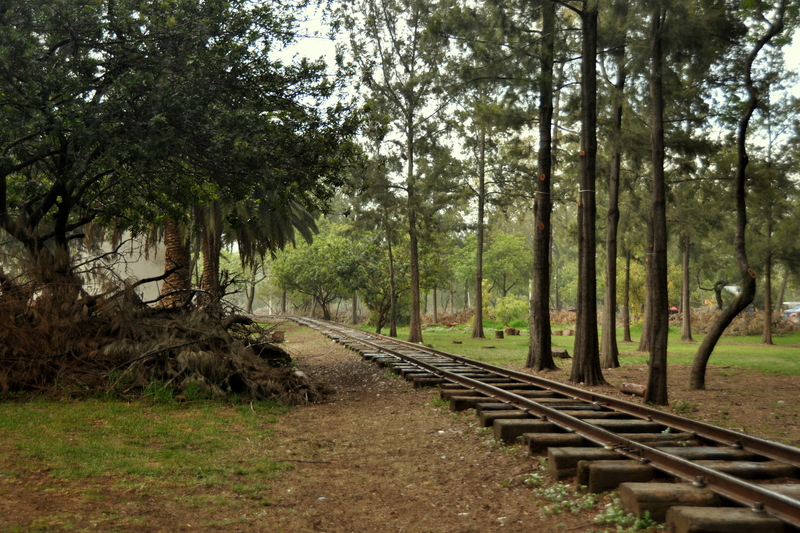 Some, like Parque Hundido along Avenida Insurgentes, feature tourist trains on a fixed circuit. 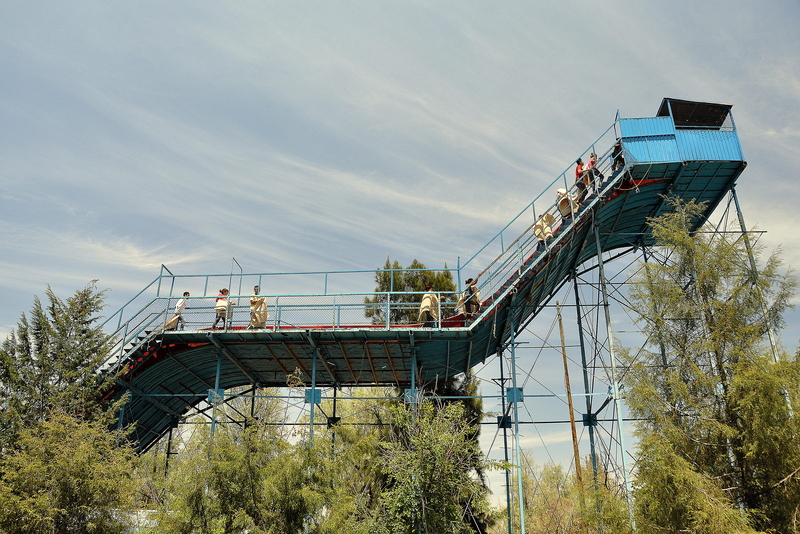 Others, like Parque de los Venados in Colonia Del Valle, feature small ferias (amusement parks). The best of the best of Mexico City’s public parks – Chapultepec and Bosque de Aragón – feature trains, ferias, and much, much more. 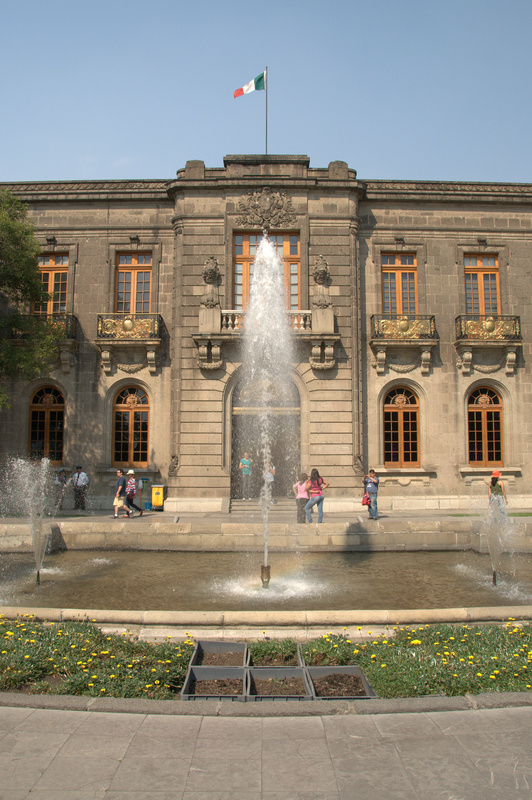 The grand daddy of Mexico City parks is Chapultepec Park. 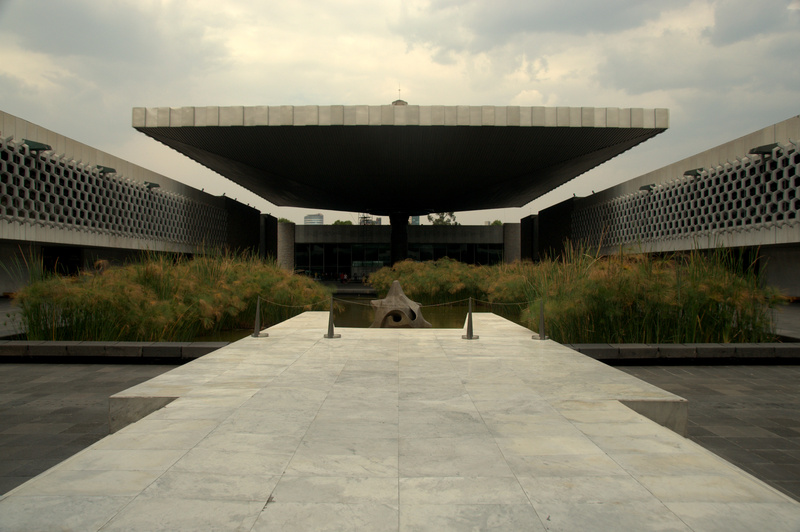 “Chapultepec” means “hill of the grasshoppers” in Nahuatl, the language of the Aztecs. 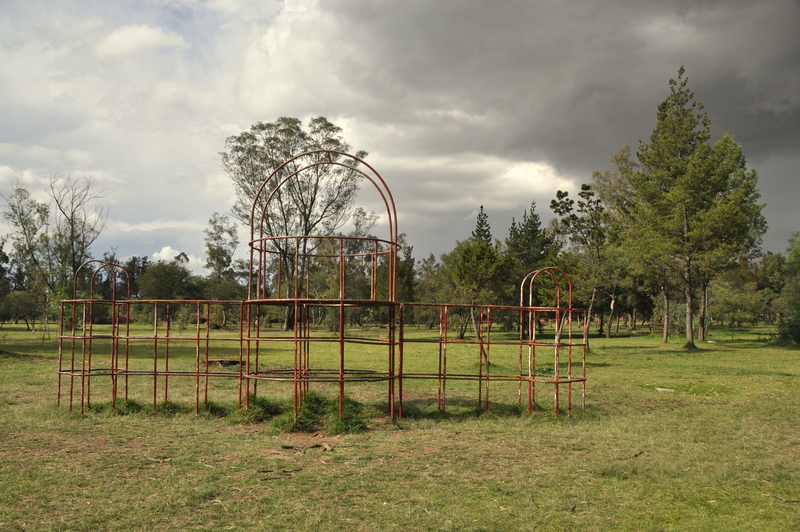 This park, located due west of the Centro Histórico, is divided into three sections across 686 hectares (1,695 acres). The first two sections are especially lovely, and Sección 1a is a veritable treasure trove. This eastern-most section of the park dates back to Aztec days. 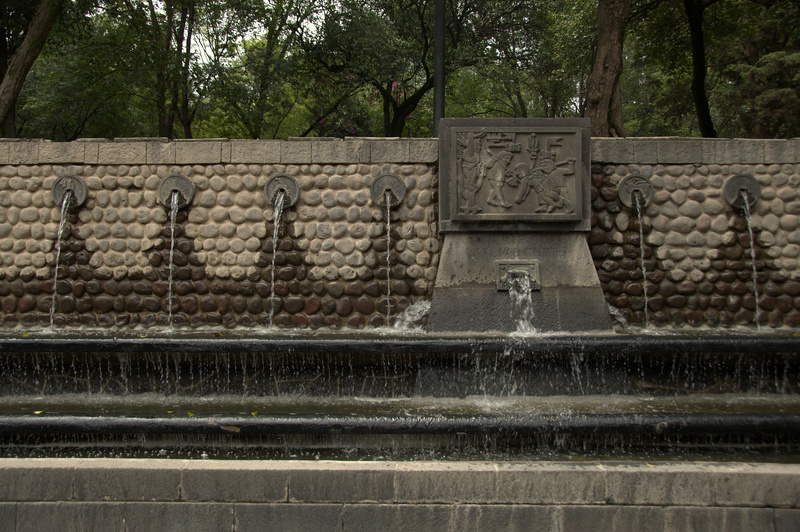 An aqueduct ran from Chapultepec, at the time an island, all the way to Salto del Agua in what today is the southern end of the Centro Histórico. 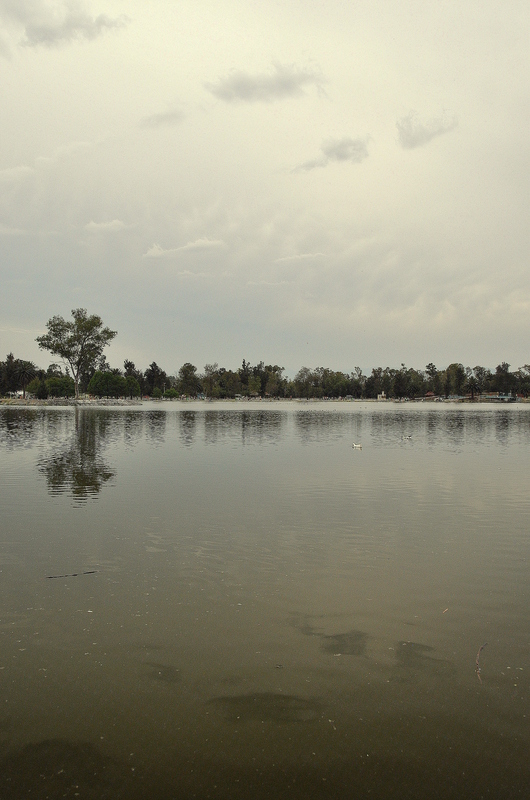 In time, the waters of Lake Texcoco receded and the colonial period saw considerable development where the lake once sat. It was Emperor Maximilian I who commissioned the building of a grand thoroughfare, Paseo de la Reforma, to directly connect the park with the historical center. Where Reforma meets Chapultepec just west of Torre Mayor (the city’s tallest building), visitors entering Chapultepec are greeted by an imposing sight: The Monumento de los Niños Heroes (Monument to the Boy Heroes) and, atop the hill behind, Castillo de Chapultepec. This is a proper royal castle – the only one of its kind in the Americas, I’m told – and a visit here boasts impressive city and park views, the requisite royal chambers, and several historical-themed murals by Rivera, Tamayo, and others. One hall commemorates the sacrifice by the aforementioned “boy heroes,” six military cadets who chose to sacrifice themselves by jumping from the castle roof to their death rather than surrender to invading U.S. forces in 1847 during the Mexican-American War. One boy, Juan Escutia, poetically wrapped himself in the Mexican flag before jumping. If you wish to visit the castle, note that you’ll be required to deposit any backpacks or purses; this service is free. Access is by foot or by tourist tram. Other points of interest in the first section are a large lake (paddle and row boat hires available), a Canadian totem pole, a sizeable zoo (pandas!) 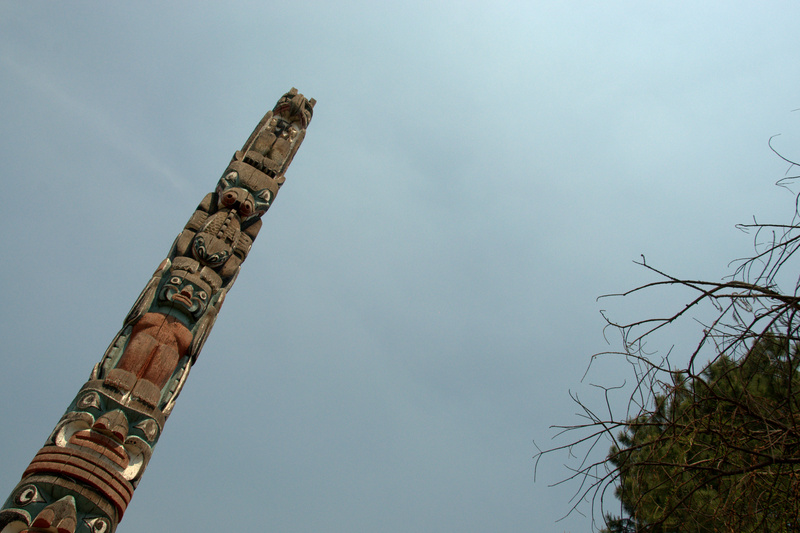 with animal enclosures of varying sizes, and several museums, the most noteworthy is perhaps the National Museum of Anthropology. This massive museum is considered in most circles to be the best museum of its kind in the world. Although it is only two levels, a comprehensive visit cannot be accomplished in a single day. 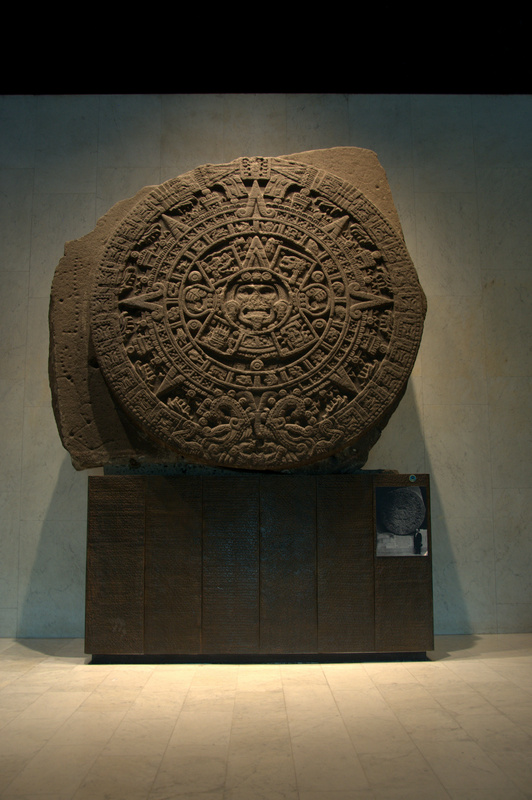 An enormous Aztec sun stone is the museum’s biggest attraction, but you’ll also find several giant stone Olmec cabezas (heads), a detailed funerary mock-up of Palenque’s ruler Pakal the Great, and thoughtful exhibits of how descendants of Mexico’s Aztecs, Mayas, Toltecs, etc. live today. Directly east of the second section is Los Pinos, the residence of Mexico’s president. It is strictly off-limits, and well-hidden by pines, as its name might suggest. 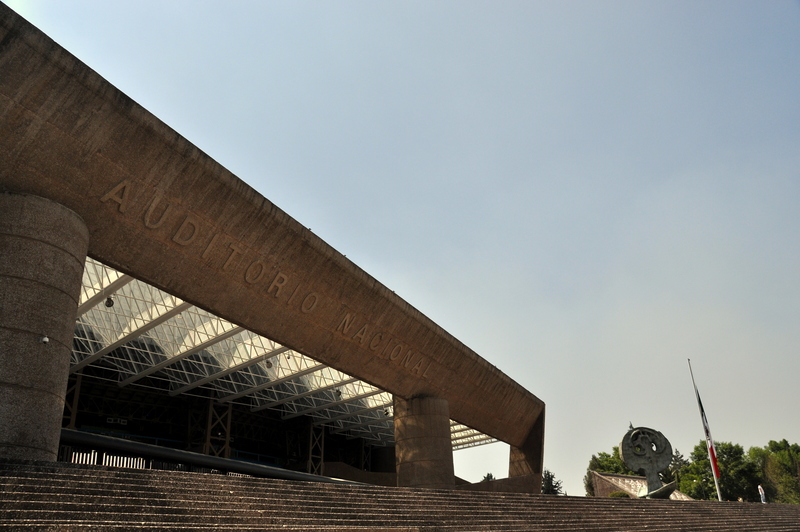 The second section is as big as the first, but its northern edge is occupied by the impressive Auditorio Nacional and the middle by the enormous Lago Mayor. 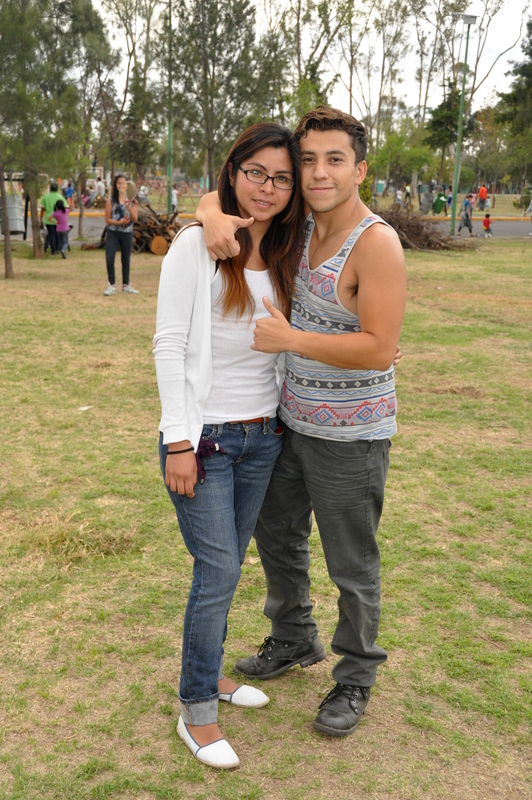 East of the lake is La Feria, a way-cool amusement park that packs a lot of fun into a compact area. Just south of La Feria are two museums, with a third a pleasant walk to the west. West of here is Sección 3ra, separated from the rest of the park by the Panteón Civil de Dolores, a large and colorful cemetery. This third section is popular with runners but doesn’t receive many visitors in general and has a more rugged, woodsy feel. As for the cemetery, I am uncertain whether it is included in Chapultepec’s total acreage, but it’s a place of haunting beauty, well worth a ramble. Diego Rivera, José Clemente Orozco, and Dolores del Río are among the Mexican luminaries entombed here. The other mega-park is Bosque de San Juan de Aragón, or “Bosque de Aragón” for short. 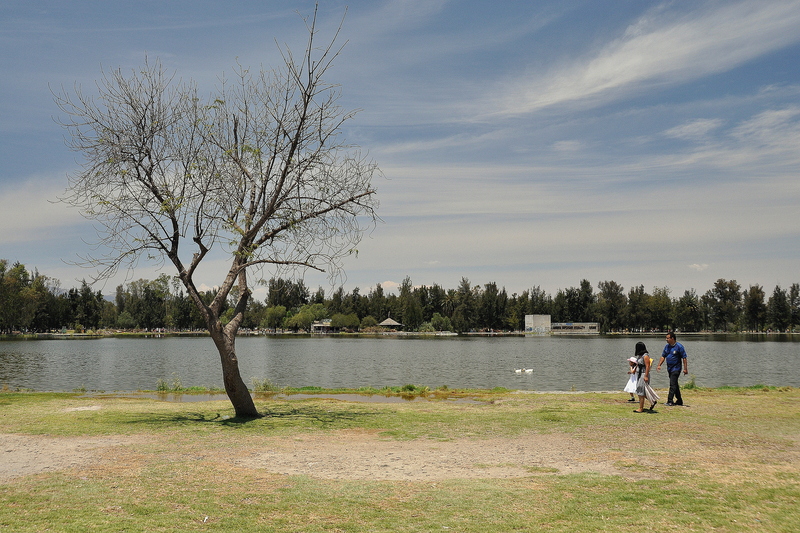 This park is completely flat, is based around a single lake twice as large as the Lago Mayor of Chapultepec, and is so far east of the Centro Histórico that it technically resides not in Distrito Federal but in neighboring Estado de México. Bosque de Aragón was named after conquistador Blas Lopez de Aragón. It is approximately 162 hectares (400 acres) in area, which makes it less than half the size of aforementioned Chapultepec. However, “BdA” land is mostly one flat, roadless expanse, making it look bigger than it really is. 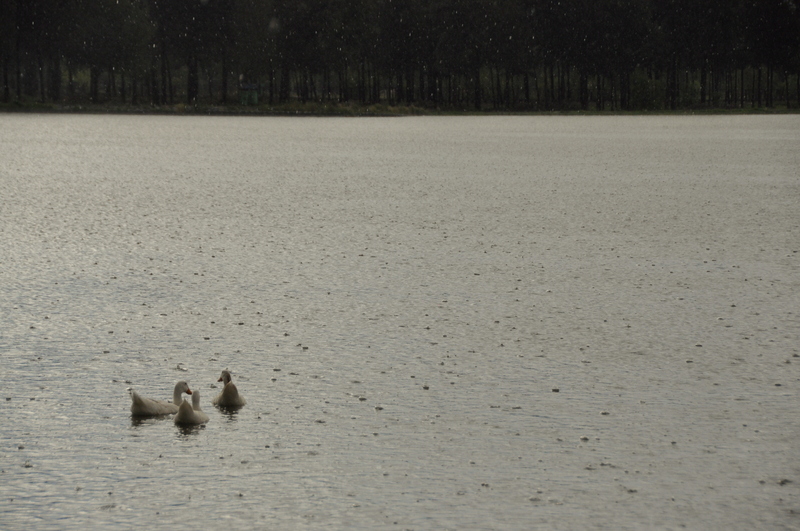 The main section consists of several playgrounds, several kilometers of jogging paths, two small ferias, a go-kart track, a large, swan-filled lake, and an open-air sculpture gallery. A narrow-gauge tourist train makes frequent circuits of the park on busy weekends, and the sidewalks are lined with fast food vendors. The second section consists of just one attraction: Zoológico de San Juan de Aragón. “Aragón Zoo” is on par with its Chapultepec rival. 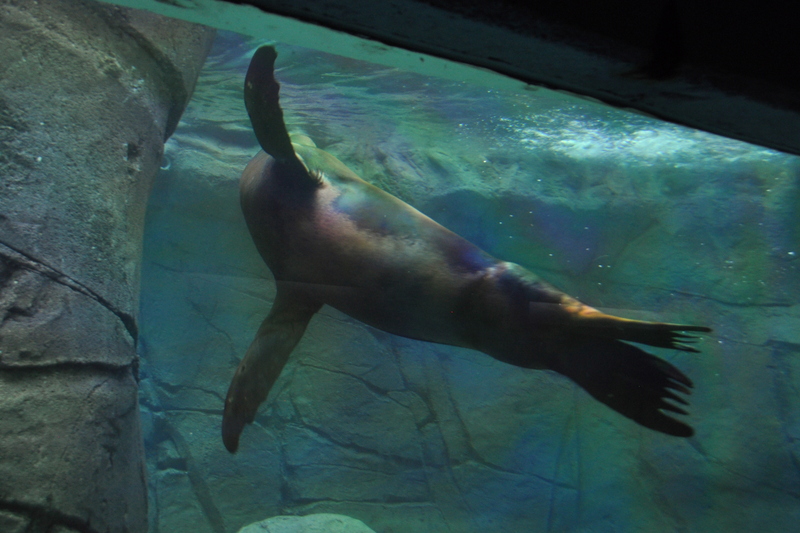 Its older section has small-ish enclosures that are mostly reserved for smaller animals such as the teporingo (a rabbit native to the slopes of Central Mexico’s volcanoes), but the larger, modern section includes a floral garden and large enclosures. Like the Chapultepec Zoo, the Aragón Zoo has a herpetarium (reptile house) that charges admission, whereas the rest of the zoo has free entry, like all of Bosque de Aragón itself. My first exploration of Bosque de Aragón took place on Easter Sunday, and I was surprised when my stroll led me to this zoo. I had no idea of its existence, and my 90-minute zoo visit was a delight. 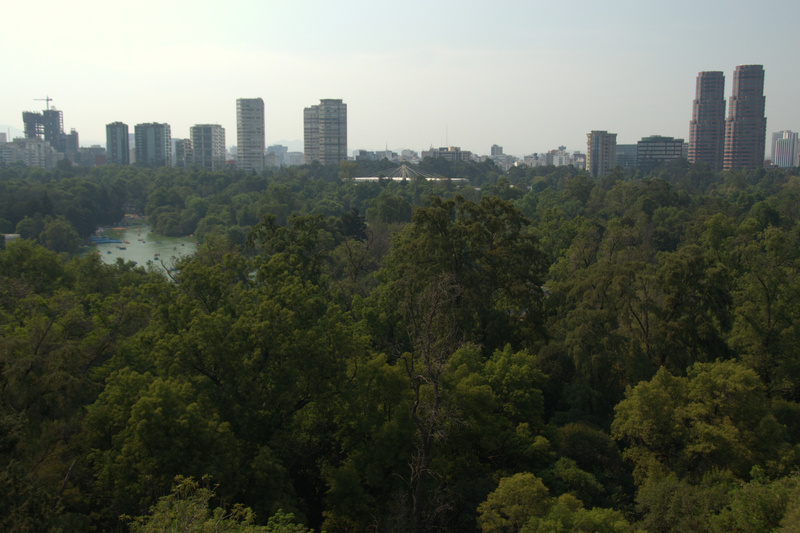 Bosque de Aragón differs from Chapultepec in two ways. First, it has a more rough-and-tumble feel than Chapultepec – at least as compared to Chapultepec’s first two sections. 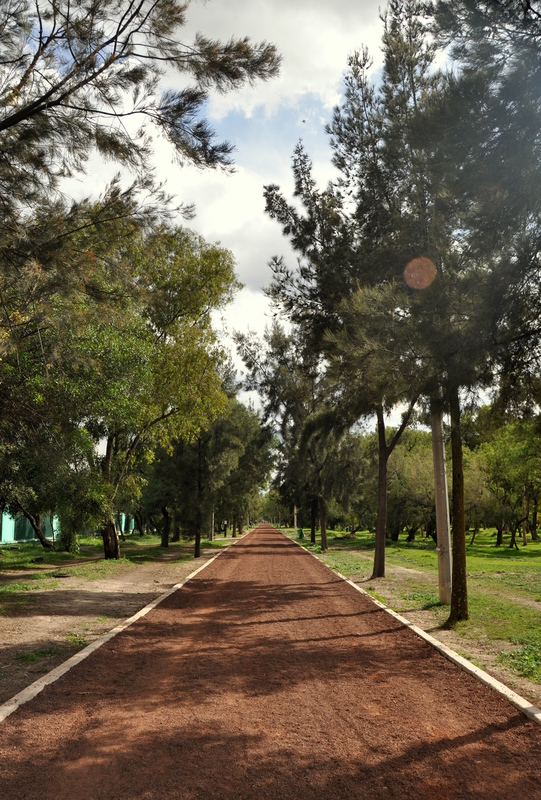 Chapultpec has perfectly-paved sidewalks; BdA has cracked asphalt and dirt pathways. Chapultepec has nary a trace of litter; BdA has overflowing trash barrels. 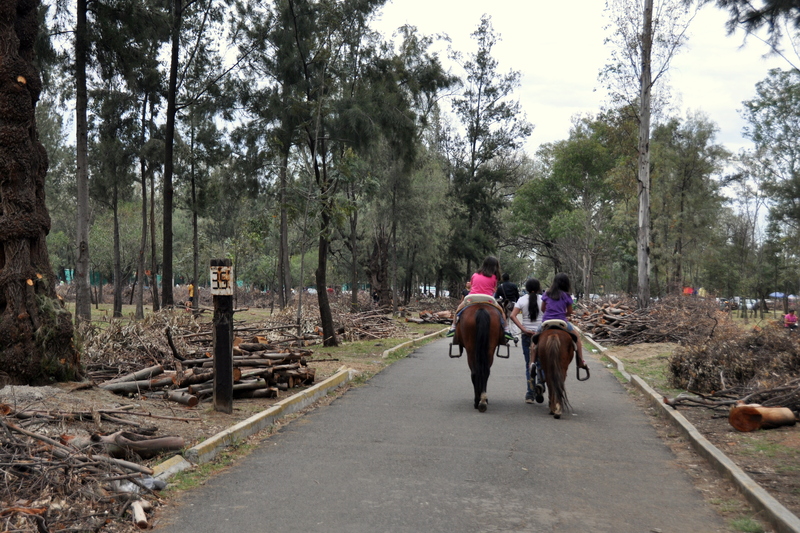 Chapultepec has healthy trees and landscaped bushes; BdA has fallen trees and chopped timber lining several sections of trail. 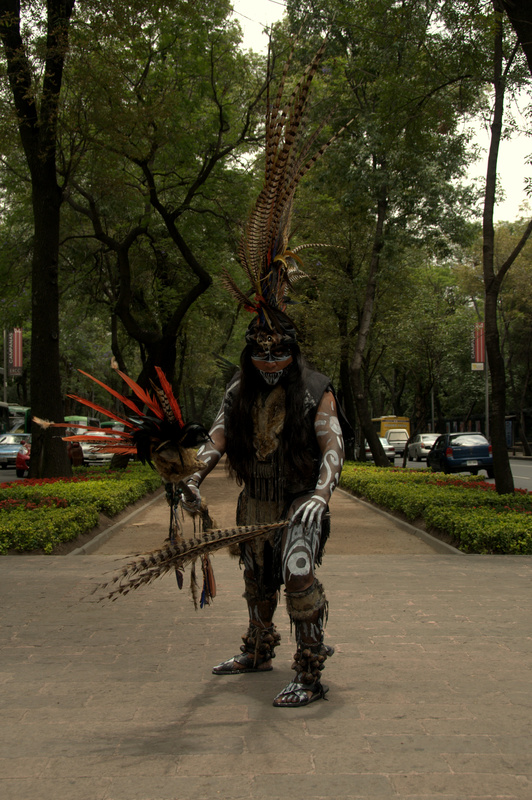 Chapultepec thrives with a mixture of locals and international tourists; BdA is very much off the well-trodden tourist trail. 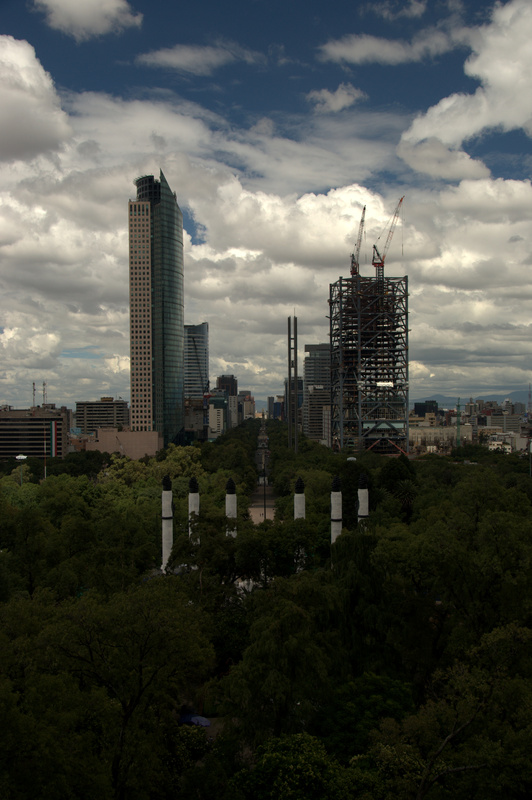 As Regards accessibility, Chapultepec is closer to the city center and main streets Reforma, Periférico, and Constituyentes. Three metro stations on two lines serve the park, and an important paradero (secondary bus terminal) sits just beyond the park’s main entrance. BdA, on the other hand, is 30+ minutes outside the center and is served by a single metro station, which runs above ground and less frequently than the underground lines. 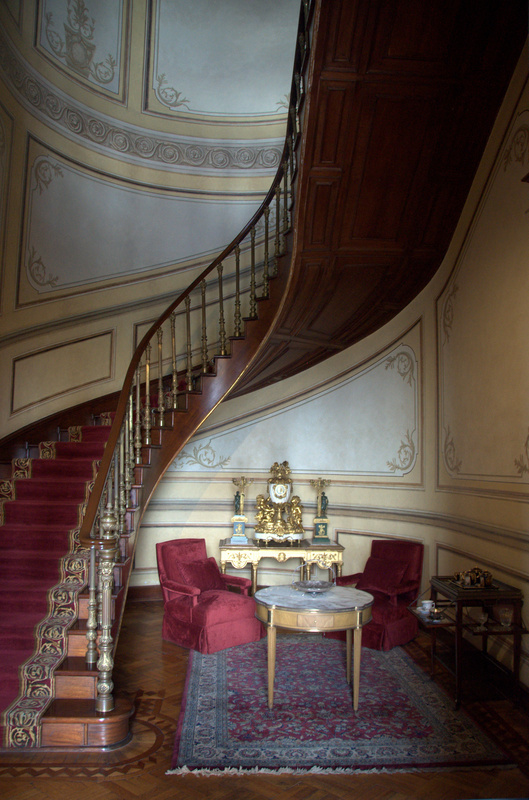 Thorough exploration of Chapultepec’s museums and castle would take several days, and La Feria is a full-day excursion in itself. BdA can be thoroughly visited in just one or two very long days, but it is perhaps the better of the two parks for families with young children. I spent several leisurely mornings visiting Chapultepec while I was passing time between classes I taught the area, and Chapultepec will always have a warm place in my heart. Having said that, there’s something special about the locals-only charm of Bosque de Aragón. My recommendation: visit them both. My chilango friend lives near Bosque de Aragon, and a few trips ago he took me to the zoo. No, it´s not a world class zoo, but I was nevertheless quite impressed that the neighborhood had such a nice facility. At the risk of making you jealous, I am back in D.F. right now and having a great time. It’s a bit shabbier than the Chapultepec Zoo, but it has an impressive collection of animals. 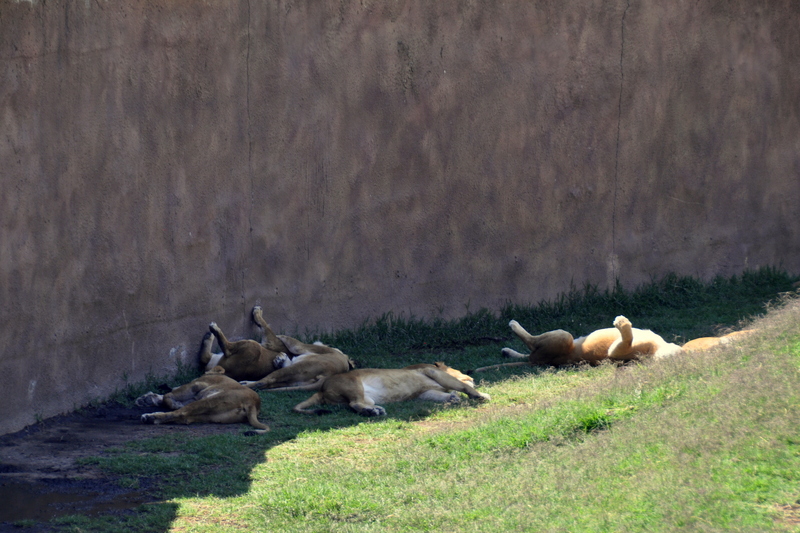 I loved the lion exhibit. There is surprisingly little information available online about Bosque de Aragón, and I didn’t really know what to expect on my first visit. Needless to say, I was pleasantly surprised! Thanks for writing and enjoy DF, William. 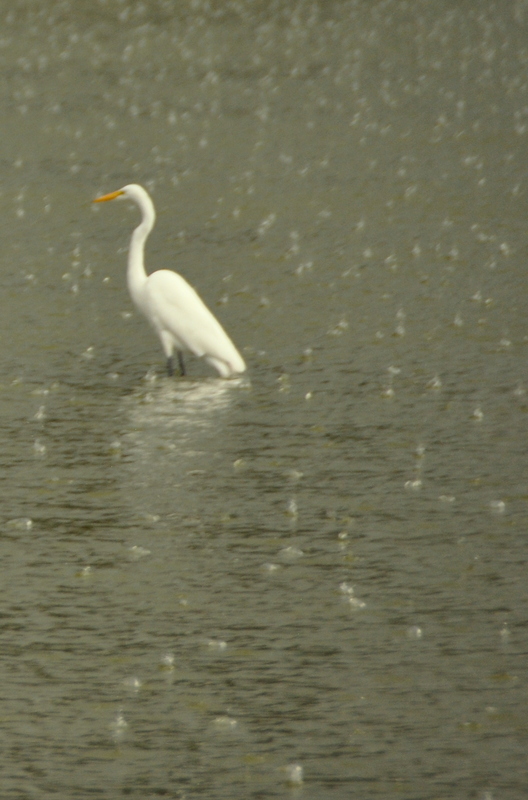 I’ll get back there soon.